In my family women were always treated equal, they went to school, they had jobs and the household was shared. There was never any discussion about these things. In addition, my family, especially my grandfather, taught me about cross-gender (if you think in stereotypes) skills such as: artisan, painters, fishing etc. It was important to him that one had a range of lifelong skills and abilities. I am very grateful for these opportunities and the freedom of choice. Unfortunately, nowadays many girls and women in this world still do not have the same opportunities that I was able to have. Two well-known women who had terrible experiences growing up – Waris Dirie and Malala Yousafzai – campaign for the rights of women and girls worldwide. With this fact, we are already at the next global goal and again have to consider that the individual goals are dependent on each other. The third part of my blog series, I already mentioned Goal No. 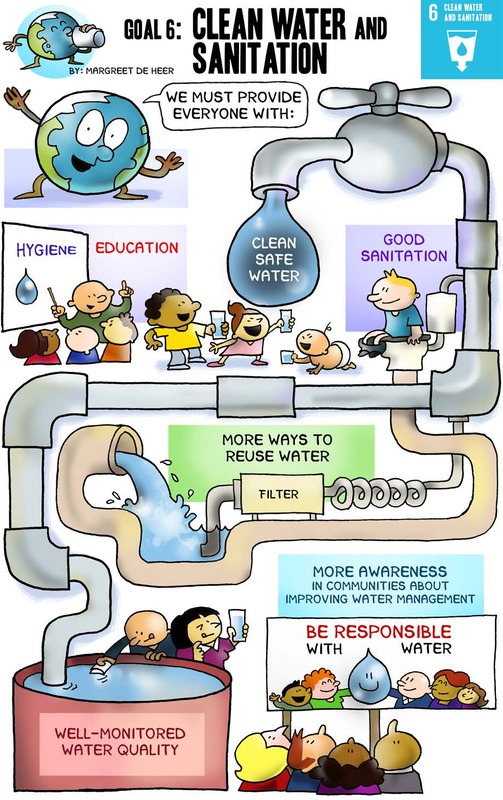 3 Good Health and Well-Being, meaning one significantly reducing death caused by water pollution. Water is a necessity for all living creatures on this planet – for humans, animals, plants etc. Without water, there would be no life on earth, water is also needed for irrigation and the production of goods. In Germany, our daily polluted water is purified by gigantic sewage treatment plants, but that is not the case in every country. In many countries there is a lack of water or the waters are heavily contaminated. 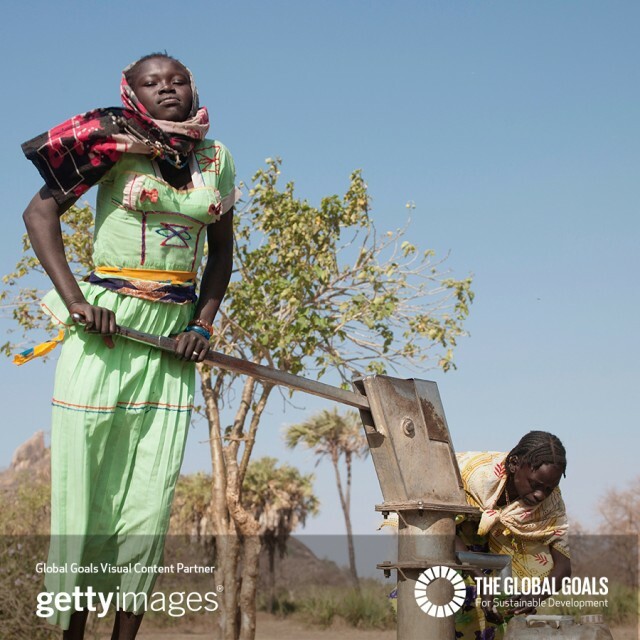 In total, more than 2.5 billion people suffer from a shortage in water supply. According to a study by the International Institute for Water Management (IWMI), 98% of the shortage of water is caused by humans. Especially this shortage comes from the vast amounts of water needed for agriculture, industrial goods and industry, as well as the heavy environmental impact of fertilizers, pesticides and chemicals in the textile industry, most of which are unfiltered into the rivers and lakes. Especially the rich developed countries are not aware that they have a large supply of water. For example, in order to produce one kilo of beef, one needs 20,000 liters of water. For one kilogram of grain, one needs 1,500 liters of water. Every German uses around 122 l of water daily for showering, cleaning etc. In addition to this, around 1000l of water a day is used for the industry and power plants. (see Quaschning, 2010, pp. 88f) Worldwide, there is 80% of water which is not filtered and therefore, especially children get sick from this polluted water. World Largest Lesson – The World is not Equal. Is that fair. The next global goals will be explored in the next blog.